Throughout his career in talent representation, Ryan Ly has represented numerous talented professionals and guided the sale of popular programs. He served as a television literary agent with Creative Artists Agency for more than a decade, during which time he booked hundreds of writers, directors, and producers. Ryan Ly performed at a high level starting in his first years as an agent, during which time he facilitated the most client bookings within his department. 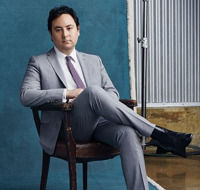 During awards season, Ryan Ly distinguished himself as representative of the most Writers Guild, Golden Globe, and Emmy Award nominated writers as compared to any other working agent. He earned recognition for his work in 2013 when he became the youngest equity partner and department head in the company's history. Ryan Ly appeared in the Hollywood Reporter as a part of its 2016 “35 Under 35” list of leading young entertainment professionals. He has also earned mention in USA Today, sharing his insights into the recruitment of big-name creatives to streaming content companies. He now holds the title of principal with Curate Entertainment.